As an established provider of quality home care in southern California, we have a large pool of qualified caregivers available to meet your needs. Leisure Care has been serving clients for more than 30 years. We believe we should treat every client like our own family and provide a level of personal attention that is unmatched in the home care industry. Are you a Veteran of the U.S. Military? You may be eligible for the Veteran's Aide and Attendance benefit. Are you a hard worker with a passion for serving others? Do you take pride in helping others live independently? If so, we would love to talk to you about possible opportunities with our company. Leisure Care is committed to offering complete solutions that improve the quality of life and provide peace of mind to you and your loved ones when affected by the challenges of aging, disability or illness. Choosing a provider for home care services is an important decision. You want to know you or your loved ones will be cared for professionally and compassionately. We believe caring for an individual at home not only strengthens the family bond, but it is also a cost-effective alternative to institutional care. We believe that your mental health is as important as your physical health. Your faith, whatever it may be, is an important part of the healing process. We believe that care should not come at the expense of dignity and respect. There are many providers in our industry, and we work hard to set ourselves apart from the crowd. We truly believe we have the best caregivers in the market, and we believe we can prove it. By paying our team members considerably higher than the industry average, we are able to recruit the very best in the business, while still maintaining competitive and affordable pricing. 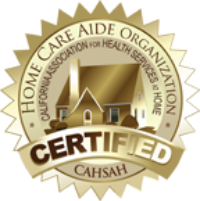 As an established provider of quality home care in Southern California for more than 30 years, we have a large pool of qualified caregivers available to meet your needs. At Leisure Care, we are always looking for additional opportunities to serve our community. While providing home care is the primary service we offer, we also like to get involved in local and regional events, whether that means helping raise money for a good cause, or rolling up our sleeves to help with community service projects. Leisure Care has provided wonderful caregivers for my Mom over the past two years. I love their approach of building a caregiving team so that my mother's world is as consistent as possible. Leisure Care's compassionate care has given me peace-of-mind during this difficult season of her life. Thank you for providing excellent caregivers for our dear father. They were prompt, responsible, competent, and, above all, very caring people. Their help was invaluable. (Caregiver) worked with my client for several months in a very helpful manner. The two of them had a wonderful camaraderie and enjoyed spending time together. (Caregiver) was efficient, experienced and professional. I just wanted to take a moment and thank you again for the tender-loving kindness you have shown every time we had a need for my mom. We are so grateful that [caregiver] is with my mom again. As you know [caregiver] is a special gift. She blesses my mom so much!! !